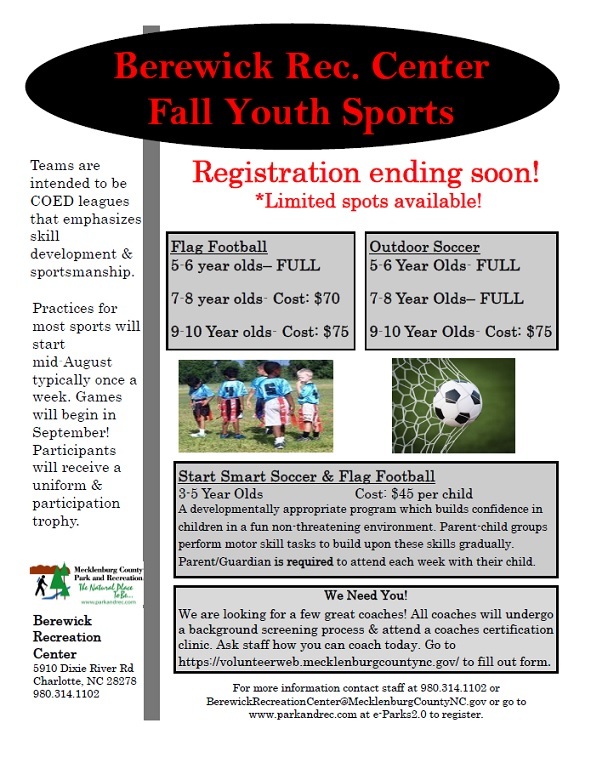 (August 9, 2017) The Berewick Recreation Center still has spaces available for 7-8 and 9-10 Flag Football and 9-10 Soccer. There is now a $10 late fee plus the registration fee. To sign up, go to www.parkandrec.com and click on the e-Park 2.0 link. 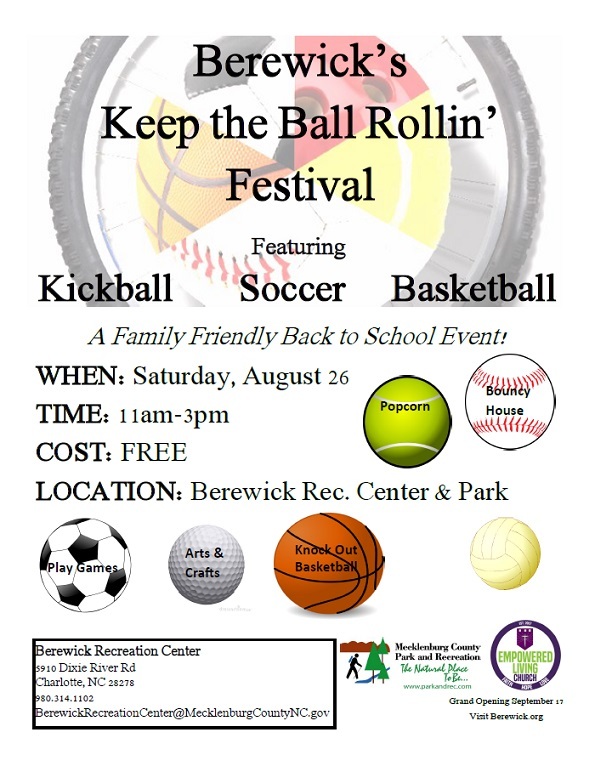 There is also a free family back to school event, Keep the Ball Rollin' Festival, on August 26 from 11:00 AM to 3:00 PM. Come enjoy games including Basketball, Soccer, and Kickball. They will also have Knock Out Basketball games, arts & craft stations, a bouncy house, and snacks like popcorn! Anyone who would like to participate in any capacity can contact staff at BerewickRecreationCenter@MecklenburgCountyNC.gov. To register, go to www.parkandrec.com and click on the e-Park 2.0 link.